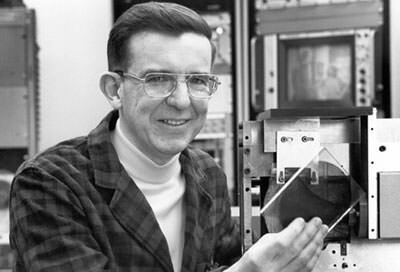 The attempt at storing information digitally was finally realized when in 1960’s James T. Russell, an American inventor, successfully stored digital information on an optical transparent foil. This required a high-powered halogen lamp to light the foil from behind to be read. Russell was able to patent his invention in 1970. In the 1980’s, Sony and Phillips, who were greatly interested in this discovery, licensed Russell’s patent. Russell and David Paul Gregg also earlier invented the first optical video recording technology on a transparent disc medium in 1958. 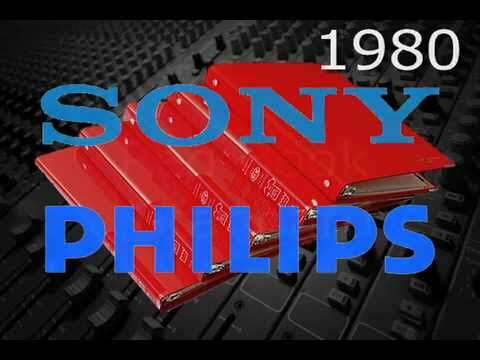 At the time, Sony and Phillips had been intent on working on the LaserDisc technology (an optical media predecessor to the compact disc which worked with a PWM (pulse-width-modulation) analog format. The 1970’s saw many of the standard features of the compact disc take shape, such as the polycarbonate base and the 120mm disc diameter, which allowed up to 74 minutes of playback. Phillips initially began the project alone, but after a prototype was displayed in 1979, Sony jumped on board and together both companies devoted engineering teams to tackle the project. After many prototypes and difficulties, Sony and Phillips were able to publish a standard in 1980 and made available to the public in 1982. Sony and Phillips’ standard for the CD was known as “Red Book” which contain the technical specs for all CD formats. Both companies both held a monopoly on discs for quite a while with both manufacturing plants being owned by Sony and Phillips. Initially, the manufacturing process for discs was quite costly and difficult. Later innovations in the field helped to make disc production and manufacturing faster, easier, and less expensive which correlated to lower prices. The US was first introduced to CDs in 1983 when CD-ROM prototypes were displayed to the public. That same year saw 30,000 CD players and 800,000 CDs sold solely in the US. Despite initial high costs for players and discs (Sony’s CDP-101 cost $900 and discs were $30), the format was extremely popular. In just six years, CD sales eclipsed vinyl LPs and by 1992 flew past cassette tapes. It is largely agreed upon that the success of CDs is due to the close cooperation of Sony and Phillips who worked together to create compatible hardware that allowed for standardized products and performance. Consumers could put any disc into any disc player and expect it to work.